Miami might be the sunniest spot you can get to in just over three hours. We find out where to eat, drink and be merry in the Magic City. Miami might not be the first place that pops into your head when you think of a long-weekend getaway, but the three-hour, budget-friendly flight makes it a very approachable option. Soaking up some sun in this pastel paradise can appeal to every type of traveller. 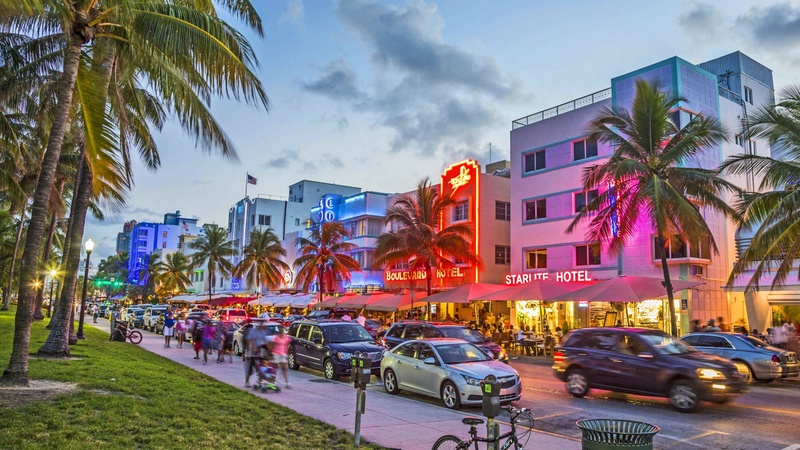 Hit up the hotspots for nightlife in South Beach, shop brand names in bougie Bal Harbor or take in live music and salsa dancing in Little Havana. Just an hour outside of the city, nature lovers can get their kicks airboating through the Everglades scoping out alligators and other wildlife. They don’t call it the Magic City for nothing. While Ocean Drive might be an obvious choice, a guide to Miami wouldn’t be complete without it. Choose between the view of Lummus Park, the boardwalk, beach and sweeping views of the Atlantic on one side, or neon lights, bright signage and colourful patios on the other. 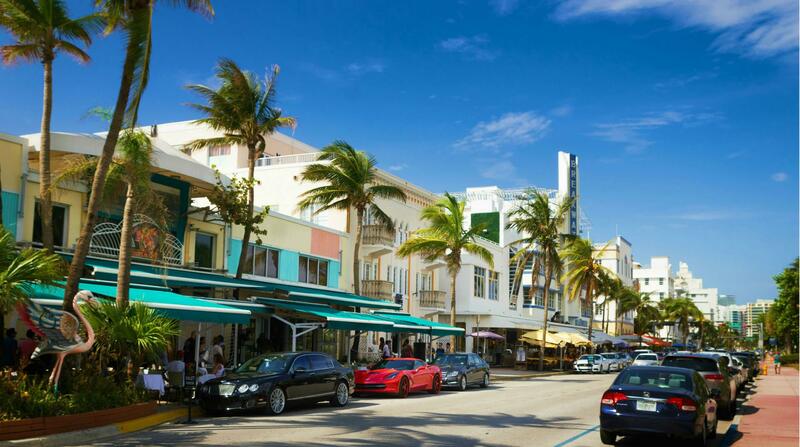 After taking in your fill of Miami’s beach, sun and surf, eat and drink your way down Ocean Drive. You can find oversized cocktails in a rainbow of hues all along the strip – head to Wild ’n’ Out for arcade games or Mango’s Tropical Café for nightly dance performances. If you’re in the mood for a more refined, white-linen dining scene check out Prime 112 steakhouse or Gianni’s, located in the former Versace mansion. Head just north of the Ocean Drive strip, where Eastern Mediterranean fare is served family-style at Byblos. Meat and veg menu options share the limelight. Grab a couch on the quaint patio and one of their signature cocktails with a Mediterranean twist. For another memorable meal, Michael’s Genuine, Michael Schwartz’s flagship restaurant, is located right in the heart of the walkable Miami Design District. The menu features items from the wood-fired oven like chicken, pizza, octopus and striped bass. Weekdays offer an excellent happy hour. One of the trendiest neighbourhoods in Miami, Wynwood is home to colourful graffiti-art murals and an exciting craft beer scene. Book an official tour for a history lesson on the Wynwood Walls or wander the neighbourhood taking in the art and brews as you please. Latin inspired, Veza Sur offers sessionable beers and sours with a side of Chino-Peruvian street fare. Decked out in wall-length Star Wars murals and offering 15 beers on tap, J. Wakefield Brewing is the place to go for unexpected brews like their coconut-infused hefeweizen. Don’t miss Concrete Beach Brewery’s weekday happy hour or Wynwood Brewing Company – billed as Miami’s original craft brewery. Once you’re tapped out, head to Bakan for mescal cocktails, hand-made-in-house tortillas and other Mexican delights. 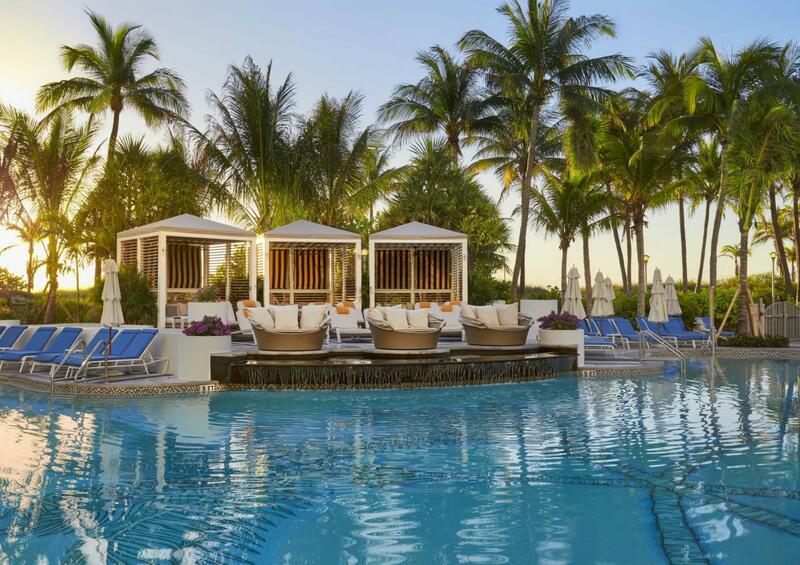 Having just undergone a $50-million renovation, every inch of Loews Miami Beach Hotel is stunning. Multiple dining options, poolside cabanas, palm trees swaying overhead and direct access to the sands of South Beach, make this luxury hotel feel even more like a top-tier resort. 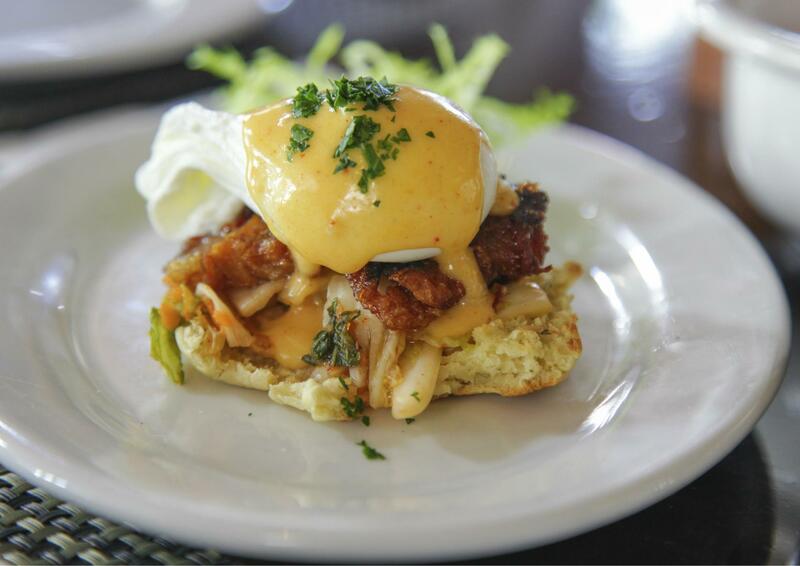 Sip local roasts at Miami Joe Coffee Co., brunch-out at Preston’s Market, dine poolside at Nautilus or grab a casual bite and a cocktail at Bar Collins – all without leaving the grounds. If you do manage to make it off site to explore the rest of Miami, Loews is perfectly situated just a five-minute walk from Ocean Drive.